I have seen quite a few lists of the most terrifying insects on the planet. Unfortunately it seems a lot of people are unaware that spiders, scorpions and even centipedes are NOT insects. They all belong to phylum Arthropoda, but they should not appear on these articles. I can understand why this happens as it is somewhat challenging to come up with a reasonably diverse list of killer insects as, to be honest, very few are even remotely dangerous. Unpleasant, scary, disgusting, yes! – deadly, not really. If you rule out the majority of insect related deaths which are as the result of allergies it leaves us with only a few candidates that can cause much damage at all. 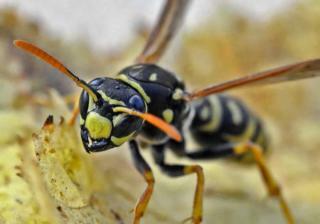 Of these most are from the order Hymenoptera – the ants, wasps and bees – all of which possess a venomous sting. Beyond this group there are a few bloodsuckers. Previously I have always steered away from ranking animals that carry disease as being dangerous, I figured it was a little like saying “water is the most dangerous drink as more people die from drinking dirty water than any other”. However, given the lack of that many genuinely deadly insects I have included these on the list. To ease you into this list of truly unpleasant insects I’ve decided to start with something that might not terrify you but could spoil your night’s sleep. Not exactly the stuff of nightmares but pretty disgusting all the same. Approximately the size of an apple pip there could be thousands of these living in your bedroom without you ever seeing one. Bed bugs are particularly good at hiding, they are pancake thin and can slip into the tiniest of cracks. Here they stay until the middle of the night when they come out to feast – on you! The big purple straw you see in the photo above is pretty much that. It’s for plugging into you and sucking up your blood. For some people this process doesn’t leave a trace, for many it is something like being bitten by masses of mosquitoes, and for an unfortunate few the bugs saliva can trigger anaphylactic shock. Bed bugs are supremely well adapted to survive and are becoming an increasing problem. If you discover you have a bed bug infestation this is just the beginning of the problem as getting rid of them is very difficult indeed. They can stay hidden for months without feeding only to re-emerge after you thought you’d eradicated them. Whilst bedbugs may be a huge irritation to people think yourselves lucky you are not a female bedbug. Romance is out and mating occurs through a process called “traumatic insemination” in which the male basically stabs the female in the abdomen to deliver his sperm. There is nothing particularly deadly about the sting of the Tarantula Hawk wasp, although you may well wish for a quick death after it has stung you. Measuring an enormous 2 in (5cm) in length this is one of the biggest wasps on the planet and it comes well-armed. Baby tarantula hawk wasps have quite a demanding diet. They need meat, spider meat. And not just any spider, they only want the meat of the biggest, hairiest and meanest spiders around. So, the obliging mother wasp must go out and wrestle a spider before jabbing it with that monster-sized sting. Once immobilized the wasp drags the spider back to her lair where she injects it with a single egg. Once hatched the wasp larva will feast on the still live spider, avoiding the vital organs in order to keep the meat alive and fresh. 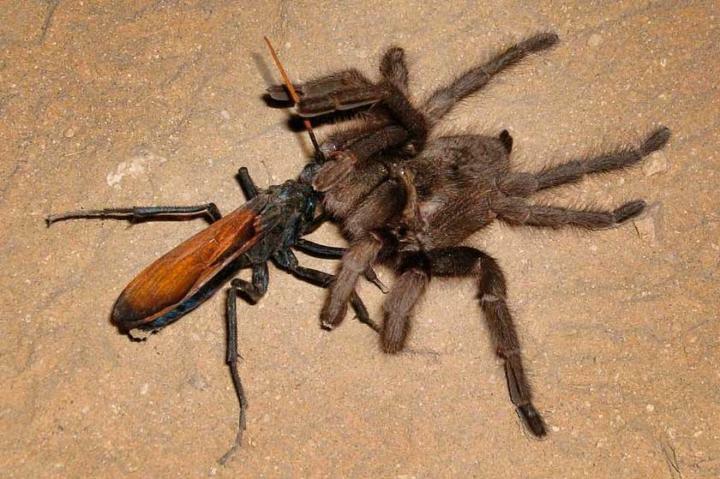 The tarantula hawk wasp may be the bane of spiders but it is also definitely one to avoid for humans. The sting from one of these beasts was the subject of a study into the most painful insect stings carried out by Dr Justin O Schmidt. He actually voluntarily let one of these wasps sting him just to see how bad it was, and apparently it was pretty bad. The army ant has long been a staple of the horror genre. The image of millions of these little monsters marching relentlessly through forests devouring everything in their path is etched into popular culture. There are in fact over 200 different species of ants that the name “army ant” has been applied to. All have one thing in common, they go out looking for food in massive numbers and these foraging parties can be over 20m (80ft) wide and 100m (330ft) in length. Of all the army ants it is those of the Doylus or driver ant genus that have the reputation for being most aggressive. 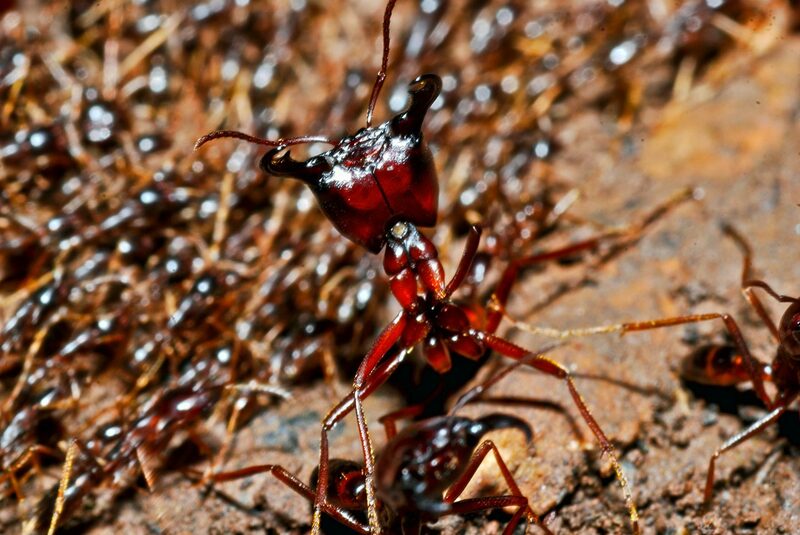 As well as forming armies containing up to 50 million individuals the soldier ants are quite formidable. 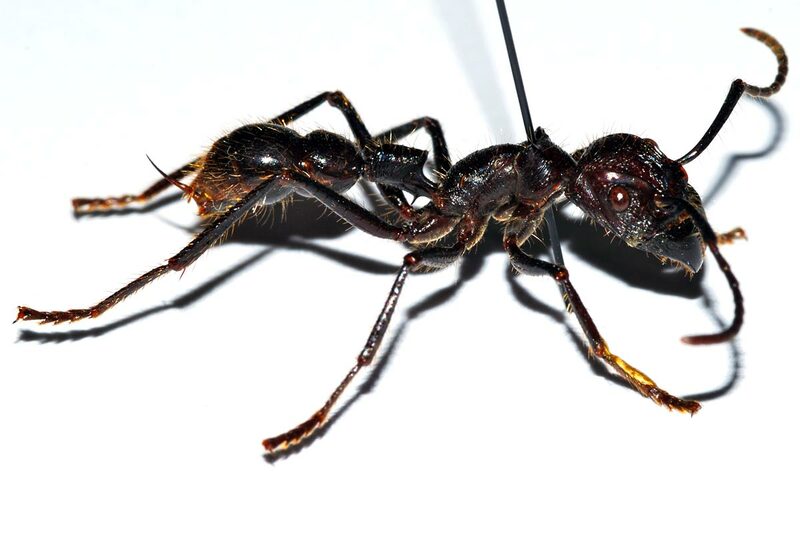 Their powerful jaws can easily break the skin and once attached they are difficult to remove; you will often pull the ant in two before it releases its grip. In fact some East African tribes use the ants as make shift sutures. The ants are encouraged to bite across the wound and then their bodies are snapped off forming stitches which can last several days. One of the most interesting facts about driver ants, and army ants in general, is that they are blind. They manage to stick together and move in a coordinated manner purely by pheromones with this chemical communication creating an almost hive like super organism. So, driver ants are big, carnivorous, have powerful jaws, travel in millions and are aggressive. But are they dangerous? Well, certainly in theory, and there are accounts of driver ants devouring everything in their paths. 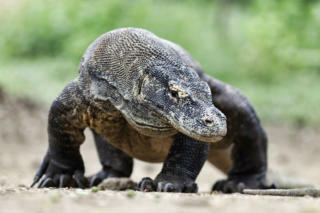 However, most larger animals have little problem getting out of their way. That said the ants sometimes manage to catch small vertebrates such as toads and mice. When they do it is far from the piranha like feeding-frenzy that appears in popular fiction and rather than stripping a cow to the bone in a matter of minutes it will take them many hours to strip a mouse. 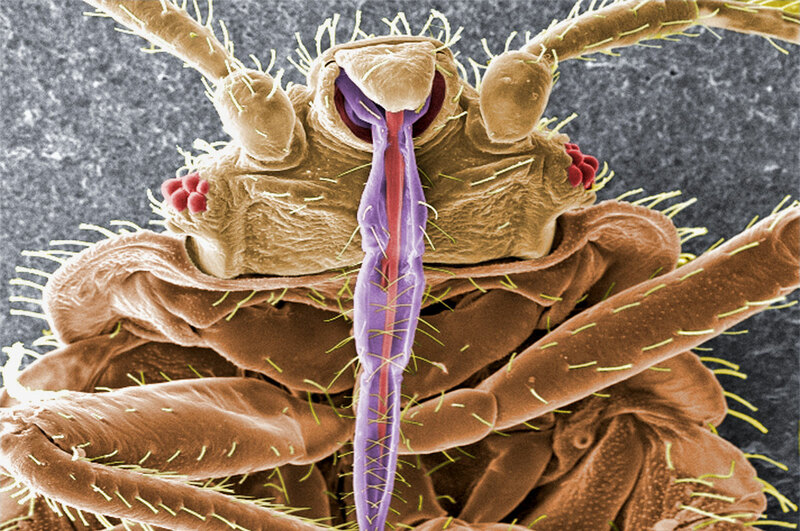 Fleas in general have a pretty bad reputation. At best they are a pest causing annoyingly itchy bites. At worst they are the carrier of bubonic plague, cause of the Black Death which wiped out over a third of the population of Europe in the 14th century. Today we are going to look at a particularly unpleasant little fellow that, although not carrying any particularly deadly diseases, makes life miserable for thousands. Despite its tiny size, the chigoe, chigger or jigger flea is a growing problem in the tropics. Originally only found in South and Central America the flea was accidentally spread to sub-Saharan Africa by human travel. Today these tiny bundles of itchy hate thrive anywhere warm where there is poverty and lack of hygiene. In areas where the fleas are found they can infect up to half the population. The chigoe flea’s mode of infestation is to burrow head first into the skin leaving only a small part of the rear end protruding. This is for breathing, excretion and mating. Infections are most common in the feet and the flea will go for areas of softest skin, such as between the toes. This is because the jigger flea lives just under the soil surface, waiting for an unfortunate mammal host to come along, at which point it will hop on. Once the flee has made itself at home it will begin gorging itself on the host’s blood and swell from around 1mm to the size of a small pea, all under the skin. Initially the signs of chigoe infection have been described as a rather “pleasant” itching. Unfortunately, this doesn’t last long and becomes increasingly intense. Further symptoms include bumps on the skin with tiny coils of flea poo protruding. Eventually the itching may be accompanied by pain, sometimes severe, as the flea grows inside its burrow. Although a flea living under the skin is pretty gross, it is the range of complications and secondary infections that cause the biggest problems. Gangrene and tetanus can occur, along with a multitude of other pathogens carried by the fleas. The majority of these infections occur when the flea has died and begins to rot away under the host’s skin. To some extent the name is a clue; these aren’t called “bullet ants” because they in any way resemble a bullet. No, it is because the sting is allegedly about as painful as being shot! Not only is the bullet ant’s sting the most painful insect sting known to man, it lasts for ages. Another of the ant’s names is the 24 hour ant which gives some idea about how long the agony goes on for. Waves of burning, throbbing, all-consuming pain that continues unabated for up to 24 hours is how one person described this horrific experience. So, the bullet ant is definitely one to avoid. Well, not if you are a member of the Satere-Mawe tribe in Brazil. They actually use the sting of this ant as part of the initiation ceremony for becoming a warrior. The test involves putting the hand inside a glove full of bullet ants for 10 minutes. The Africanised honey bee are commonly referred to as “killer bees” which should give a hint as to why they make it onto our list. These bees are regarded as super-aggressive and have been implicated in a number of deadly attacks. The Africanised honey bee was the inspiration behind the 1978 horror movie “The Swarm” which saw mutant, killer bees going on the rampage in Texas. Although the reality is not quite as terrifying the origin of the bee is a little like something out of a bad horror flick. Africanized honey bees were in fact created in a Brazilian laboratory in 1956. They were a hybrid made by crossing African and European honey bees to make a species capable of producing lots of honey but resistant to the tropical climate. Whilst the scientists might have succeeded in this respect they had also created a much more aggressive sub-species. And as with all good horror plots some of the bees escaped from the laboratory and began heading north. The bees eventually became established in the southern states of the USA in the 1990s. In terms of physical make up the Africanised bee is no more dangerous than your average honey bee. They are the same size and their sting is no more potent. What makes them so dangerous is their defensive behaviour. For reasons of natural selection the Africanized bee exhibits far greater defensiveness when it feels its hive is under attack. Not only are the bees more likely to think they are under attack they will also recruit greater numbers. 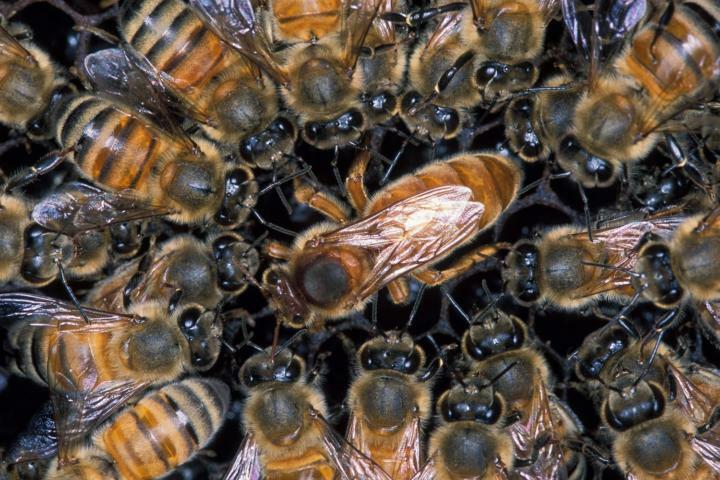 European honey bees under attack may recruit around 10% of the hive’s population to attack; with Africanised bees it is likely that the whole colony will attack. This means rather than tens of stings the victim is likely to receive hundreds. Not only this but the bees are more aggressive. They will chase down the perceived threat over a much greater distance. Even jumping in a lake won’t shake them – apparently they will wait until you surface for air. Despite the potential, “killer bee” related deaths are still fairly rare with only a few deaths occurring in the U.S. each year. Put the words giant and hornet together and you are going to get something pretty bad. There is no doubt this is a hornet and it is definitely big, measuring up to 2 inches (5cm) in length. These super-sized wasps have earned themselves the nickname ‘yak killer’ in some parts, and this isn’t that far from the truth. 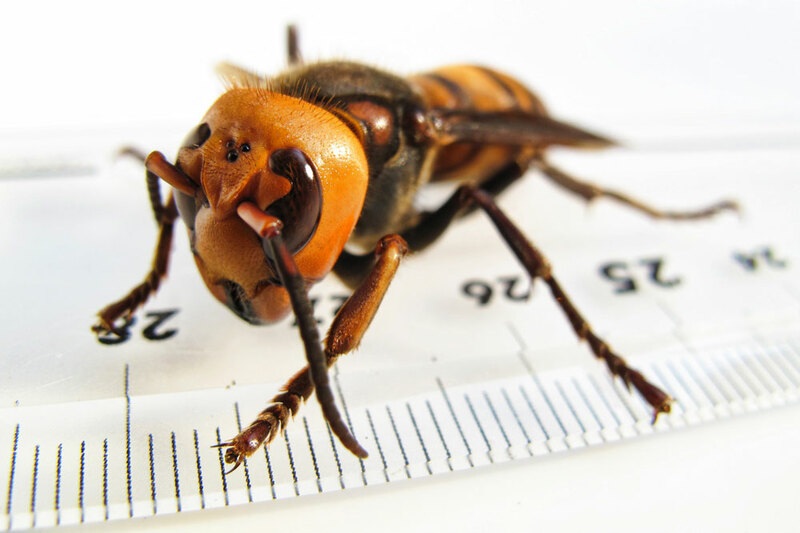 Armed with a 1/4 inch (6mm) long stinger and particularly potent venom the Asian or Japanese giant hornet is a pretty terrifying insect. The sting of the giant hornet contains a cocktail of cytotoxins and neurotoxins. It is the first of these that will cause all the pain and tissue damage with the sensation being described by one researcher as “like having a hot nail driven into my leg”. The neurotoxins contained in the venom are what makes this insect as dangerous as it looks. 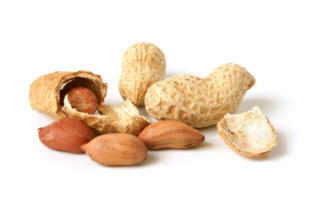 Named mandaratoxin this can be deadly in sufficient doses even to those not allergic to wasp stings. In Japan over 30 people a year are killed by stings from giant hornets making it by far the deadliest animal in the country. In China even more deaths are caused with over 40 a year in Shaanxi province alone. The medical advice here is if you get stung 10 or more times you should seek medical help. Get stung more than 30 times and you are in big trouble. 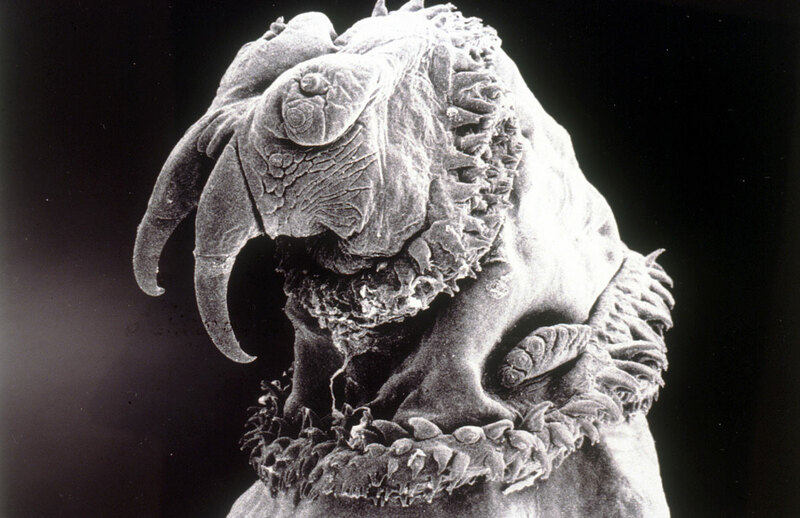 The New World screwworm is one of a class of insects which are the very stuff of nightmares. I don’t care how many people this insect kills, to me it is by far the most terrifying on the list. The scientific name (hominivorax) for this little monster gives some insight into how horrifying it actually is. This more or less translates as “man-eater” and they quite literally do. The screwworm’s life cycle begins with the adult female fly laying in the region of a hundred eggs on their victim – some sort of warm-blooded animal. This is usually on or near the site of a wound although they are known to enter baby animals via their newly formed belly buttons. Over the next 24 hours the eggs hatch and the larvae start their quest for flesh. Heading for the wound, these revolting looking little grubs use their flesh-cutting jaws and those scary looking fangs to burrow their way through their host’s skin. These maggots will continue drilling and eating their way all the way to the bone in some cases and it is only a matter of luck what damage they do on the way. The endlessly gruesome possibilities include biting into nerves or entering the bloodstream. It is said the more you try to get the screwworm larva out, the deeper it will burrow. Screw-worm infection is every bit as bad as it sounds and you just have to look at the effect infestations have on livestock. If left untreated the maggots will continue to live off their prey until it dies. The damage they do up to that point is in many cases straight out of a horror movie. One small positive is that humans are not first choice on the New World screwworm’s menu, but before you breathe a sigh of relief there are plenty of documented cases, few of which are as horrifying as British tourist Rochelle Harris’. After returning home from a trip to Peru she began to hear scratching noises, and they appeared to be coming from inside her head. As further symptoms such as headaches, shooting pains in her face and discharge from her here she sought medical help. The doctors initially suspected an ear infection but when Ms Harris visited an ear specialist the beyond disgusting truth was revealed. Apparently whilst inspecting here ear the doctor went deathly silent and ordered an emergency scan. The scan confirmed what the consultant had seen – a writhing mass of maggots had burrowed over a centimetre into Ms Harris’ head. They had managed to get in through her ear and then drilled through the ear canal. Fortunately for Ms Harris the larvae were all removed before they could cause any real damage. In the region of 8% of those infected are less lucky and die either as a direct result or some form of resulting secondary infection. Often referred to as the kissing bug we think its other name the “assassin bug” suits it somewhat better. Measuring around an inch (2.5cm) in length, these large bugs are the vampires of the insect world. When in search of a meal the assassin bug is virtually flat. However, given the opportunity to feed the bug will swell up, loaded with enough blood to last it a month. While the name “kissing bug” might sound remotely charming the reason behind it is anything but. The name originates from the bugs preferred feeding sites which are on the face, usually around the mouth, or quite often the eyes. So far, so bad. But why did this little bloodsucker make it to the top of our “Most deadly creatures in South America” list? The simple answer is the assassin bug is the primary carrier of the potentially deadly Chagas disease. Widespread throughout South America this disease kills more people across the continent than any other parasite-borne infection, and that includes malaria. In case you weren’t already reasonably horrified by this unsavoury bug there is more. It isn’t actually the bite of the kissing bug that transmits the infection. No, it is the fact that this insect likes to have a good poop on your face whilst it is enjoying feasting on your blood! Later on when you give that now itchy bite a good scratch you are effectively rubbing the disease-ridden feces into the wound. Nice! Chagas disease is closely related to the African sleeping sickness which is carried by the tsetse fly. For the majority of those infected there are no symptoms, or they are very mild. However, for those that do react badly, around 30% will have medical issues later in life with many of these going on to develop potentially fatal heart and neurological conditions. 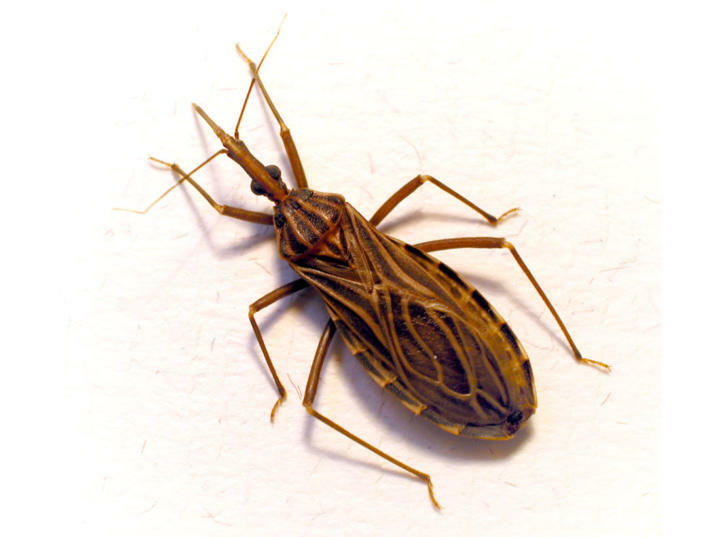 All in all it is estimated that there are 7 million people infected with Chagas disease. Of these around 7,000 a year dies as a result. There is no cure for the disease once it is established, although early treatment can stop this happening. Yawn! Yes, I know you’ve read it a million times, “and now for the deadliest animal in the world, the mosquito….” Almost as boring as when people write, “shock horror, it’s humans”. 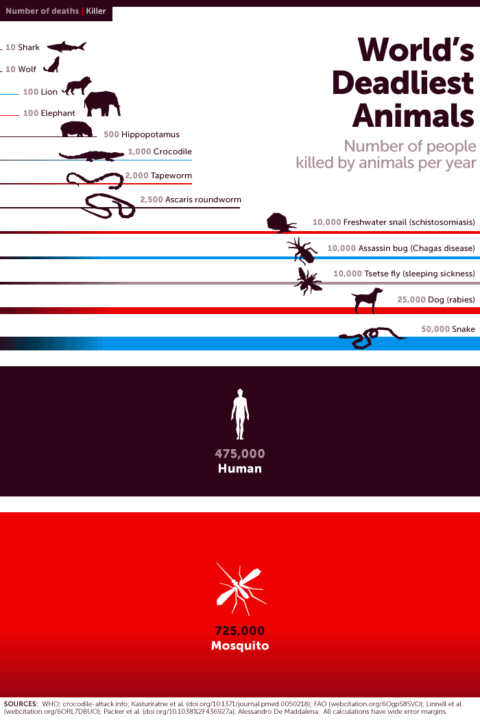 Apparently though, on a good year, it is actually mosquitoes that cause far more deaths than humans. That aside though, mosquitos are responsible for an incredible number of deaths every year, anywhere up to a million depending on your source. Pretty scary for an insect whose name innocuously translates from the Spanish as “little fly”. There are actually over 3,000 species of mosquito but we can actually narrow down the prime culprit to one particular group, Anopheles. And it is in fact only females that are blood suckers. Males on the other hand are content to live on a diet of nectar from flowers. For those of you who do not find mosquitoes in the least bit frightening then maybe imagining them as used hypodermic syringes with wings. This is how they transmit various blood-borne diseases such as malaria and dengue fever. Malaria is the chief killer of all the diseases carried by mosquitoes and they are more or less the only real means of transmission. It is neither a bacteria nor virus but in fact a microscopic protozoan parasite which spends much of its life cycle living within the red blood cells and the liver. It is a complex illness and in its most straightforward form presents with similar symptoms to flu. However, there is great scope for complications many of which are serious or even deadly. It is estimated that worldwide there are over 200 million people infected with the diseases and every year in excess of half a million die as a direct result. But it isn’t just malaria that mosquitoes spread. Remember the screwworm at number 3? Well mosquitoes sometimes carry the eggs of a similar species, the botfly and these are deposited on the host when the mosquito feeds. 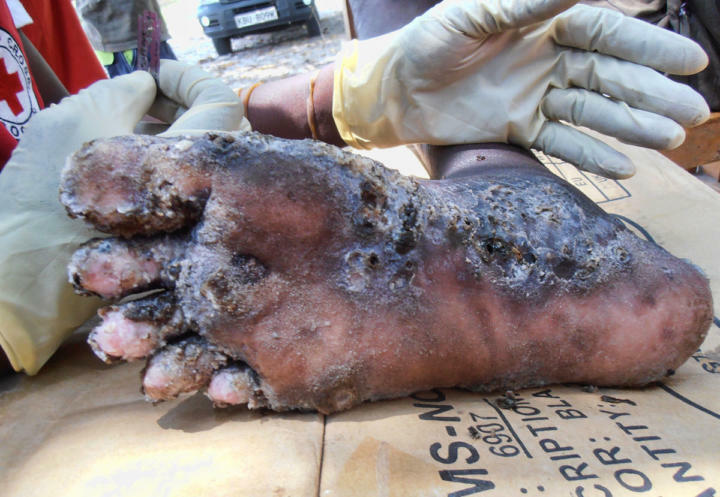 Another debilitating disease carried by some species of mosquito is filariasis. These tiny roundworms infect the host’s lymphatic system causing the massive swelling of limbs that are symptomatic of elephantiasis. Mosquitoes also carry a range of unpleasant viruses such as dengue, West Nile virus, chikungunya, yellow fever and Zika. Perhaps the only positive glimmer is that they are incapable of transmitting HIV because the virus is digested and broken down in the mosquito’s stomach.